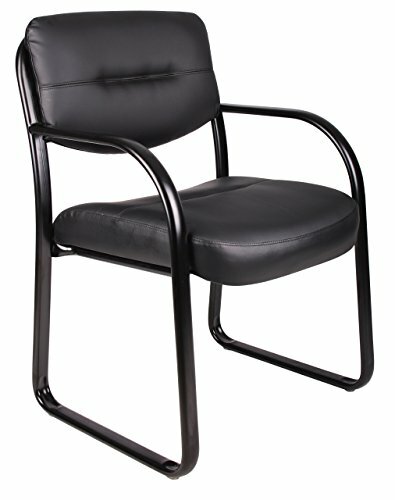 The Boss Leather Sled Base Side Chair W/ Arms from Boss Office Products is great for a business or home office. 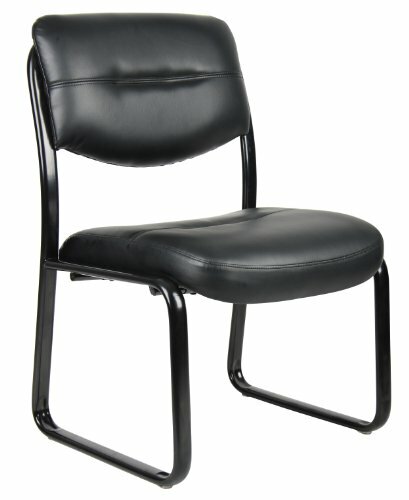 The polished tubular steel frame has a scratch-resistant surface that will keep the chair looking like new. The unit measures 23" W x 24.5" D x 34.5" H and has curved arms that make it easy to slide under any desk or table. 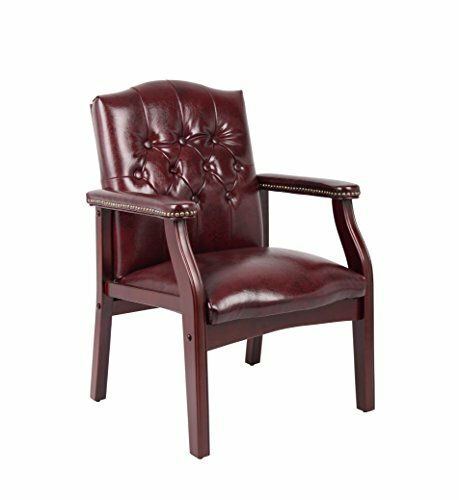 In addition to the soft LeatherPlus upholstery, the chair features contoured cushions that are extra thick for your comfort. Users will discover that the chair glides just as well over carpet as it does hardwood flooring, and at just 26 pounds, it is extremely lightweight. 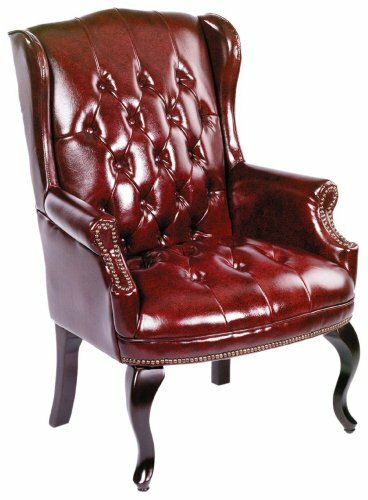 The Boss Wingback Traditional Guest Chair In Burgundy looks great across any desk with its delightful button tufted styling and sophisticated mahogany wood finish. The unit weighs 62 pounds and has a capacity of 250 pounds. 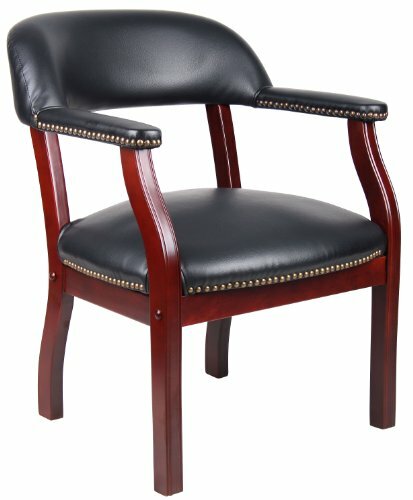 The hand-applied brass nail-head trim adds a decorative touch that really makes this chair stand out. When considering office space, the piece measures 29" W x 32" D x 41.5" H. In addition to the black Caressoft, buyers can pick up this beauty in Oxyblood vinyl. 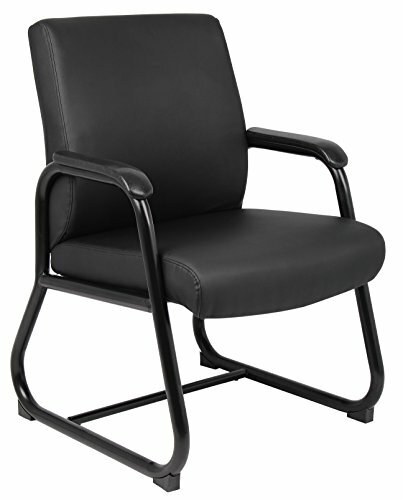 The chair also goes great with model B800 when searching for matching units. 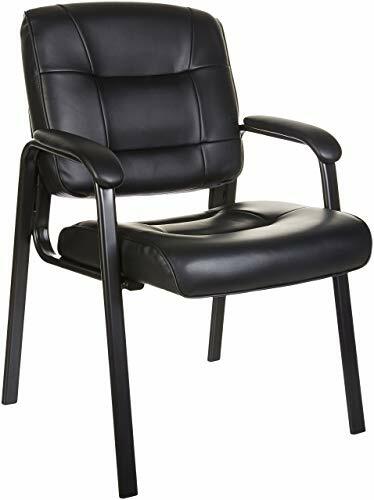 Stylish with its modern design and black color, the Boss Heavy Duty Caressoft Guest Chair from Boss Office Products has a steel sled base for sturdiness. The seat weighs just 36 pounds, but has the capacity for 300 pounds, which is much higher than your standard office chair. 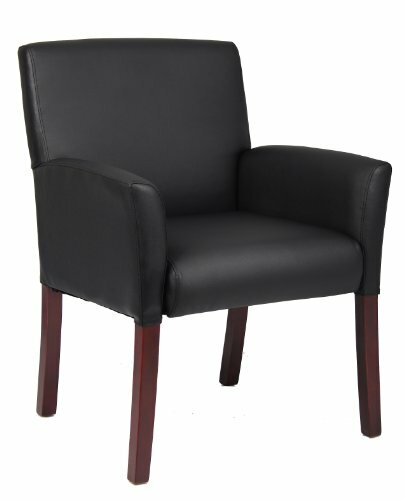 The upholstery is the best feature of this unit due to its ultra soft feel and capability to stand the test of time. With measurements of 23" W x 24" D x 34" H, you'll find the piece will fit nicely behind a desk. 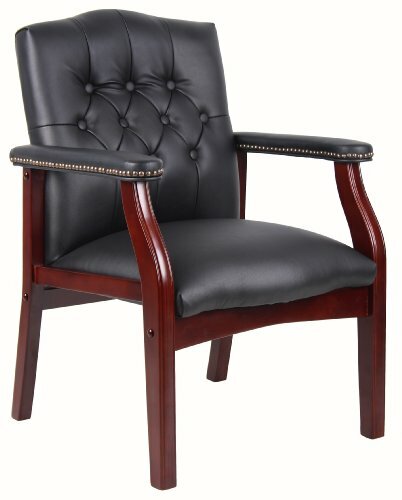 When searching for matching pieces to use along side this model, consider models B700 and B706. 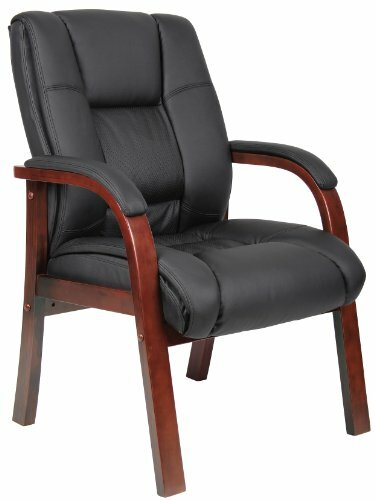 Compare prices on Boss Leather Guest Chair at Elevelist.com – use promo codes and coupons for best offers and deals. We work hard to get you amazing deals and collect all avail hot offers online and represent it in one place for the customers. Now our visitors can leverage benefits of big brands and heavy discounts available for that day and for famous brands.